Poor thing has sore, sore teeth and I'm still in shock. She discovered that Cap'n Crunch is much to crunchy for those sensitive teeth. I think I need to go invest in some Instant Oatmeal for her. She's been a great sport though, laughing with the boys (and by boys, I mean her brothers...not boys) about how they get to call her Train Tracks, Metal Mouth and such. 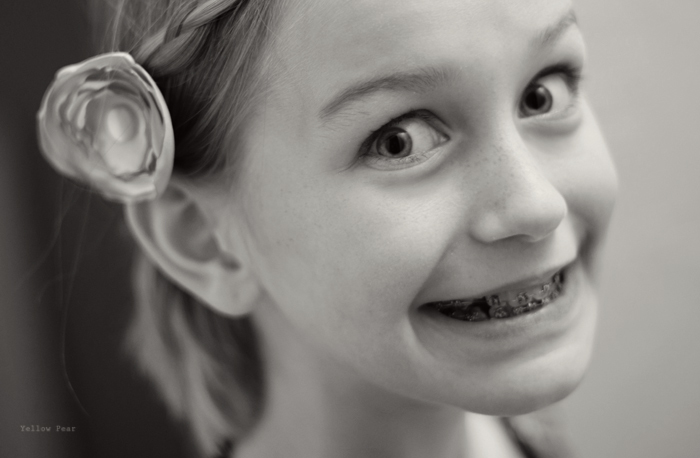 Oh man, braces are a pricey endeavor. That's for sure. Let's just hope she doesn't need them more than once (like me). I'll have to show Alli, although, she will probably be super jealous, so maybe not?